Conference Music will be available for purchase at all Conference Rehearsals. 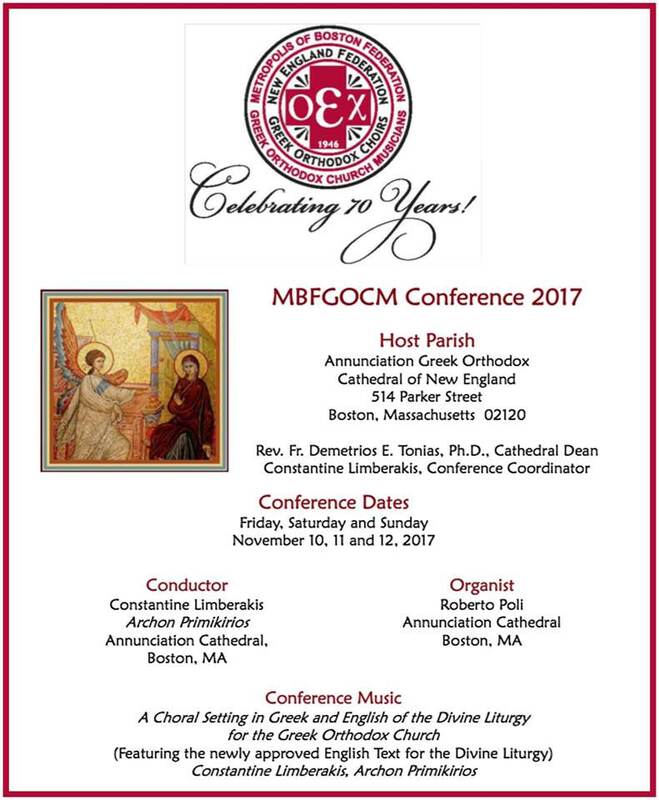 *Please note that this choral setting of the Divine Liturgy uses the English Translation that has been newly approved by the Holy Eparchial Synod. For this year’s Conference we will be chanting mostly in English. Since Boston is central to the Federation, most participants will be able to commute to the Conference. Rather than reserving a block of rooms at Boston room rates in November, members of the Federation have graciously offered to open their homes to out-of-town guests. If you are coming to the conference and need somewhere to stay, please contact Cindy Rodolakis at [email protected] or by phone at 413-575-8269.